Are you looking for an inspiring and unique space for your next event or gathering? Work with us to create an experience tailored to your needs. 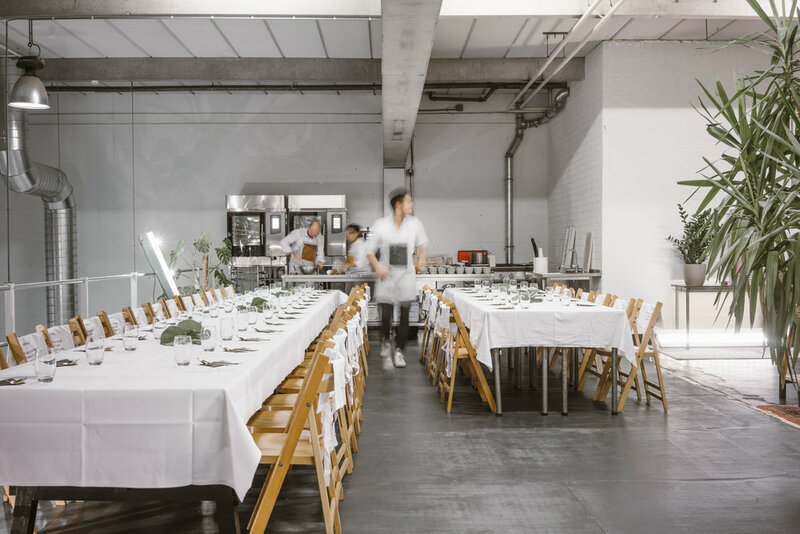 We offer a Meeting Room that can accommodate up to 10 guests, an Event Space that can accommodate up to 70 guests, and an Open Space on our mezzanine overlooking the busy kitchen that can host up to 50 guests. Of course we offer full-service catering packages directly from our diverse members. Organize an elegant, multi-course meal, fun and tasty bites and snacks, and mouth-watering sweets, plus numerous options for special dietary requirements. We love to share our founding story with you, organize tastings from amazing local producers and show off with presentations from our member businesses. Our favorite themes are challenges, food experience inspiration lean product and business development, and obviously, #startuplife. Our open space can shape shift for hosting happy hour mingling to elegant sit-down dinner parties, and just about everything in between. Get in touch and let us help you design the perfect gathering.